Obviously one type of garland is real, and the other is not…done, that was simple! Well smarty pants, that is true, but the title is “Compare Artificial Garland to Real Garland“…not “What is the difference between artificial garland and real garland“. So, since we are comparing artificial garland and real garland, we are going to dig a little deeper and let the battle begin. If you love the smell of pine or cedar, fresh garland is for you. Especially if you are using it inside your home. However, if you’re considering fresh garland for outside your home, consider how often you will actually be outside to enjoy this Christmas scent. Wrapping Christmas lights around your fresh garland is not a very easy task. Consider the thickness of your garland and if the lights will be ‘too much’ or ‘not even close’. If you’re planning on using fresh garland to wrap posts or decorate a railing, think about how much snow will fall in that area. Fresh garland is not known for its capability to hold much snow. Less of a mess. With artificial garland you don’t have to worry about the needles and mess that fresh garland creates. There may be some occasional “needles” that fall out of the artificial garland, like an artificial Christmas tree, but nothing like the real stuff. Artificial garland looks better from a distance than fresh garland. It has a ‘full’ quality to it, which also makes lighting it much easier. You can get many years of Christmas decorating out of artificial garland. While fresh garland will only get you through one Christmas season, artificial garland will last for years to come, just like an artificial Christmas tree. 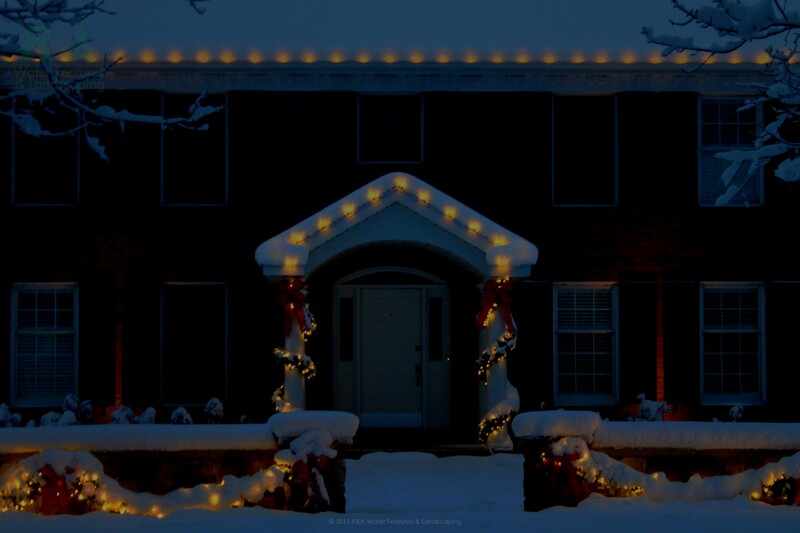 Artificial garland can hold a lot of snow, you would be surprised how much it can handle, and how nice it still looks. So, if your garland must have that pine scent, your decorating an interior space, or an outdoor space that doesn’t get much snow, fresh garland would be your best choice. 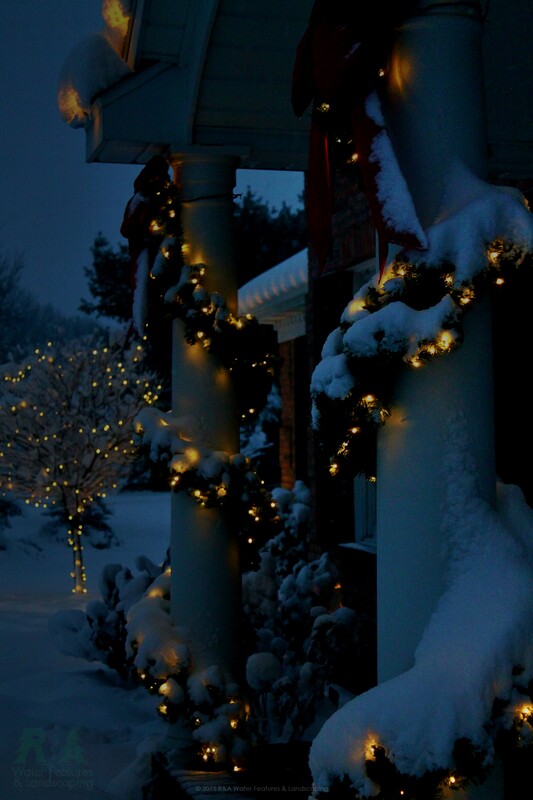 However, if you want greenery outdoors that will have Christmas lights within a space that will get significant amount snow, and you want years of enjoyment out of your Christmas decorations, artificial garland is the way to go.